When people are asked to name their favourite drummers, there’s the obvious ones. Keith Moon, John Bonham, Neil Peart, Ginger Baker. And for good reason, ‘cos they’re exceptional players. Moon and Bonham take two spots in my ‘top three drummers’. And of course, Ringo is the other person in my list. And I think that he’s one of the most underrated drummers, ever. Way too many people underestimate his abilities. But although I’m not a drummer, his playing, in my opinion, is wonderful! What’s special about his style is that it is quite understated; no drum solos, no flashy beats. But that wouldn’t have gone with The Beatles’ style. He was absolutely perfect for them. Ringo’s swing and backbeat carry so many of The Beatles’ songs. Back then, the recording depended on the feel of the song. There was no digital manipulation of drum tracks, so it was up to the drummer to dictate that feel. And Ringo had his own sound. Pull all the instruments out and you’d still know it was a Beatles song. And that’s the sound of a signature drummer. It’s the kind of thing drummers strive for all career, but not all of them make it. I was listening to ‘Paperback Writer’ the other day, and the drums caught my attention. In particular, the cymbal fills in the verses, which sound a bit like someone writing on paper, in my opinion. And of course, like everything else Ringo did in 1966, the other fills are amazing, too! Ringo’s drums on ‘Come Together’ contributes to the laid-back feel of the song. Perhaps one of the most iconic drum lines in history, his bassy pounding is instantly recognisable. I love it! 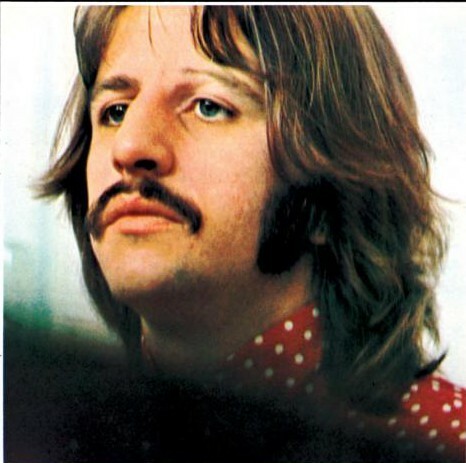 (‘Helter Skelter’) Ringo had blisters on his fingers for good reason! Ringo bangs out his drumline, playing like a heavy metal musician. He pushes the boundaries, drumming wonderfully heavy-handedly. His drums make the song drive. ‘What You’re Doing’ is possibly my favourite early-Beatles drum performance. The loud beat that begins the song is perhaps what sticks in the listener’s head. In fact, that booming drum intro is what makes it one of my very favourite early Beatles songs, full stop! And whilst Ringo wasn’t a super great singer, so many kids are introduced to The Beatles by songs he sang. The first Beatles song I heard as a small child was ‘Octopus’s Garden’. Ringo actually wrote ‘Octopus’s Garden’, with a little help from his friend George. (Pun intended.) To this day, I love the song; for the memories, that slide guitar and the drums! And Ringo seems like a really down-to-Earth and nice guy. I mean, there’s certainly good reason behind why he’s The Beatle that everyone likes. I especially enjoyed his contributions to the Anthology documentaries, for his humour and his honesty. He’s probably the most unaffected Beatle, too – this especially shows through in the fact that he runs his own social media, something I find very cool. (His Twitter account is hilarious, by the way!) I loved reading Rolling Stone’s interview with him, earlier this year. I’m glad that he’s now been inducted into the Rock’n’Roll Hall of Fame, and getting the recognition he deserves! What a great way to celebrate Ringo day! He’s such a wonderful human being, which is why this up and coming year during the American presidential elections while all of my friends are pitted against one another due to opposing political opinions, I’ll be singing “Ringo for President” because I’m pretty sure that if he were a world leader we would be a lot closer to world peace. Glad to see about Ringo posting, Ringo is a cute drummer and I am happy that you finally appreciate him. I am tired sick with all the flak about Ringo, he is just as important as the others for the Beatles. And besides, without Ringo the Beatles would not be as interesting as we know.